First game of the season. Chilly but gorgeous. Shea looked good from the #7 train. New coat of paint? I was there at 3:40pm, a full hour before Gate C opened. I really didn’t need to be there THAT early, but it paid off. Within the next 30 minutes, Jose Guillen and ESPN announcer Chris Berman showed up, and I got their autographs on last season’s ticket stubs. A few other fans had made their way inside, but they went straight behind the Mets dugout for autographs. Out in right field, the only other person was a mean old usher who’d been giving me a hard time for years. “You know what happens if you go down there,” he growled. He gave me a suspicious look and then remembered the glove trick. Awwww, that’s right, baby. Didn’t take long for me to need it–and it didn’t take long to get the ball. I reeled it in and took a look and could not believe what I was holding. It wasn’t a no-logo ball. 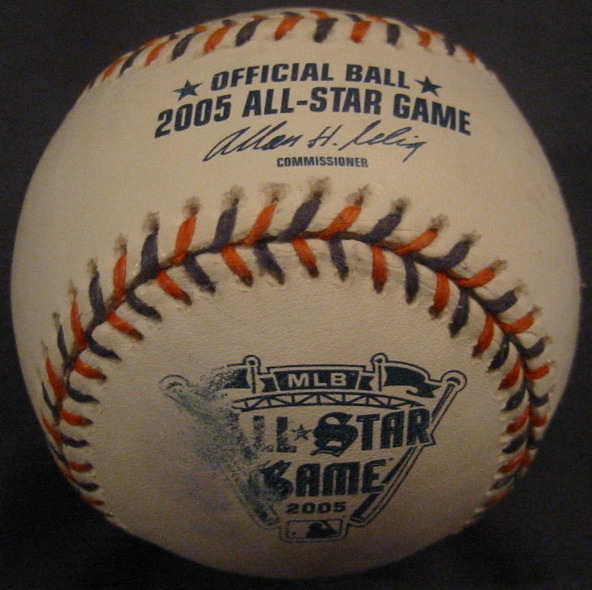 It was an official 2005 All-Star Game ball! The orange and blue stitches were for the Tigers who hosted the game at Comerica. …that is, until other fans showed up and the usher told me that I had to give away any other balls I caught. He wasn’t kidding. I headed up to the Loge and settled into my favorite corner spot. I wanted more All-Star balls. The logo on the one I got was partially scuffed. But were there more? Did the Mets get a whole shipment of leftovers and just mix them in with the rest? There was only one way to find out. Thirty feet below, and to my right, there was a ball sitting in a catcher’s mask on a bench in the Mets bullpen. I kept my eye on it, and when Tom Glavine finished his session with pitching coach Rick Peterson, I called down to the future Hall of Famer. He didn’t see the ball until I explained where it was. Then he walked over, grabbed it, and threw it right to me. All-Star ball?! No. Just a regular one. Poo. Dave Racaniello, the Mets bullpen catcher, strolled out to right field, and one of the batters promptly hit a ball his way. I called down. He looked up. “How many balls do you need?” he asked. Unbelievable. My first game in six months, and guys are recognizing me. He laughed and threw it in my direction, but it fell short and hit the protective screen in front of the DUNKIN DONUTS ad and plopped back down to the field. He tossed it again, this time right to me, and I had my third ball of the day. All-Star?! Yes, and it was a beauty. No scuff marks at all. Yum. There was one other fan in the section, a schlumpy middle-aged man with a glove. He was standing several rows back and way over near the foul pole–not the greatest spot. “Wow! You’re having quite a day!” he shouted. “So far, so good,” I said. I didn’t think I’d get any more balls there. I assumed that all the players in right field had heard me yelling at Racaniello. So when a ball rolled to the wall and Victor Diaz jogged over to retrieve it, I called his first name softly, almost apologetically. He looked up. I held my glove open. He tossed me the ball. All-Star?! No. I was disappointed. And then I was almost embarrassed. I felt bad for the other guy in my section, but he didn’t seem angry or jealous or anything. But hey, cool, I’ll take it. It’s one more interesting ball to add to the collection. It was 5:30pm. I headed back to the field level, ran to the Mets dugout, and worked my way down to the front row. When the Mets’ BP ended a few minutes later, I got a dirty All-Star ball from 3rd base coach Manny Acta and a bat from Cliff Floyd. Only my second one in over 600 games. Just like that. I hadn’t even asked for it. As Floyd had been heading off the field, we made eye contact, and he tossed it to me, right over the dugout roof. There were guys on both sides of me, and they grabbed it just after I got my hands on it. “Mine!! Mine!! Mine!! Mine!! Mine! !” I yelled. “I got it!! !” And thankfully, they let go. It’s easy to claim a ball. It’s palm-sized. When it’s in your hand, it’s in YOUR hand. But a bat? There’s lots of room for other hands. Surprisingly, the bat wasn’t broken. But it wasn’t one of his gamers. Those are black and red. This one was white. It smelled like pine tar, and it was still a bit sticky. Suddenly, I was the man. Everyone was coming up to me and asking how I got it (luck) and if I knew him (no) and if could they hold it (sure!) and if I was gonna get him to autograph it (dunno). The attention continued for the rest of the night. At first it was cool. Eventually, it became a burden. The bat didn’t fit in my backpack, so I had to carry it with one of my two precious ball-snagging hands. And I stuck out. There were times during the game when I wanted to move from section to section, but I knew that security would’ve spotted me. I got some interesting looks in the bathroom. I was so happy that it truly didn’t matter what happened for the rest of the night–yet it occurred to me that I was just three balls away from double digits. Ryan Zimmerman was taking fungos at 3rd base. He ignored me and was rather snotty about it, but Royce Clayton came to the rescue and flipped me a ball. Another green one. I grabbed my bat and hurried to the left field corner. People wanted to talk. I was on a mission. It was crowded out there, and most of the balls were being thrown to little kids and guys who could speak Spanish way better than me. Fair enough. Someone on the Nationals smoked a drive down the 3rd base line. The ball hit a three-wheeler that was parked on the warning track in foul territory and caromed into shallow left field. One of the players came over and grabbed it. I had no idea who it was, but it didn’t matter because everyone was shouting and jostling for position. He flipped it up and to my right. I lunged through the pack, jumped a few inches, and snatched it above everyone’s head with my bare hand. (Another training ball.) The guy had a distinctive face, and when I got home, I revisited the Nationals’ roster and realized it was Damian Jackson. So I had 10 balls, and nine of them were thrown–and the one that was hit hadn’t even come right to me. That’s Shea Stadium for you. Terrible design. Can’t wait ’til 2009 when the New Shea will supposedly open. Look at all those Field Level seats in fair territory! Home runs galore! Actually, I’m not thrilled with the design of the new ballpark, and in a few days, I might write a whole entry about it. Anyway, I went to the dugout as the Nationals finished BP. Nothing. I went to LF when the catchers were warming up before the National Anthem. Nothing. I went to the dugout right before the game. Nothing. 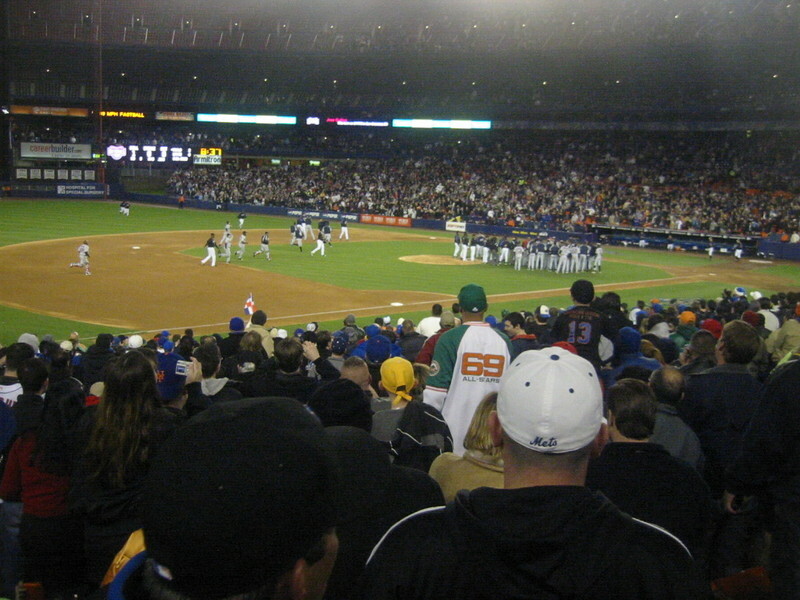 During the game, I sat right behind the main aisle on the 3rd base side. Nothing. After the game, I went to the Mets dugout. Nothing. But that was fine. I had 10 balls, two autographs, and a bat. Plus, the game itself was great. Pedro Martinez made his first start. Carlos Beltran picked up his first hit of the season–a two-run homer that extended the Mets lead to 8-5. Jose Reyes tripled. David Wright had three hits and, despite it being just the third game of the season, got an “M-V-P!” chant from the crowd. And there was nearly a brawl. When Guillen got beaned for the second time, he walked halfway out toward the mound and pointed his bat at Pedro before being restrained. The dugouts emptied. Guys ran in from the bullpens. Good stuff. 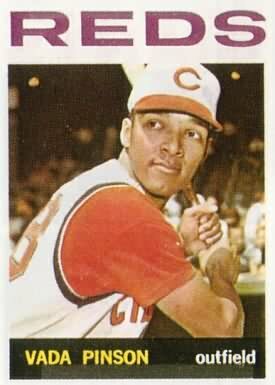 Then, just a few innings later, Felix Rodriguez was ejected (along with manager Frank Robinson) when he plunked Paul Lo Duca. There was even an appearance by the tallest player in Major League history. This game had it all. • 10 balls = the 2nd highest total in my first game of a new season. On April 15, 1999, I opened with an 11-ball performance. • You may recall that in the middle of 2005, I started competing with the all-time hits leaders…you know, comparing my ball total to players’ career hits…just for fun. So my new lifetime total moves me into 45th place ahead of Vada Pinson (2,757). Next up is Andre Dawson (2,774). Haha wow. You may or not believe me but I predicted 10 balls. Very good. Congrats on the bat. Holler. Goodness. What are you doing up at this hour? What am *I* doing up at this hour? Oh yeah, I have to work until 2am tomorrow night…so I’m in training. Right. That’s my excuse. Good thing I got some training balls. Did you really predict 10? Thanks. Guess who was there for BP (and who will be there regularly this season). Teddy-Boy. Not sure if Teddy-Boy reads this blog. Teddy-boy, are you reading this blog? the ball i got on opening day was one of the green trainer balls. Hmm. What team did you get it from? I hope these aren’t going to be a permanent fixture of the ball-snagging experience. Zack after Floyd gave you the bat did you give him the Old Zack Blessings for a great year? He sure deserves it!!! Sweet! Great Day At Shea! It’s gonna be a great season for ya Zack! A fine start to the season for you it looks like. Floyd disappeared into the dugout so fast that I didn’t even have a chance to say thanks. But yes, the Hample Blessing is officially in effect. Last season, it was a glove. This season, a bat. Next season…David Wright’s jock strap? Anyway, thanks. I’m feeling pretty good about everything right now. hey zack long time no talk, if u dont remember this is the kid that emailed u a while back about the chone figgins ball. anyways congratulations on teh great start towards what is looking to be a record breakking year, can u say Mr. 3000? 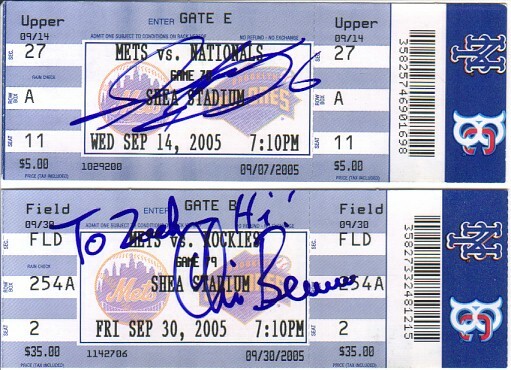 This is Steven, I’m not sure if you remember me or not…Anyways, it looked like a great day at the ballpark for you. The same kind of thing happened to me when Jay Bell of the Arizona Diamondbacks gave me his bat at Dodger Stadium after batting practice in 2001. I was looking at the training balls, and I was wondering if you’ve ever caught the “PRACTICE” ball, but in blue lettering, not the green. Can you update me on how nice/or mean the new 2006 Dodgers are? Based on reports and pictures, it looks like Nomar Garciaparra signs A LOT OF autographs. I remember you, too. Seriously, I remember all you guys, and it’s great to be hearing from you again. I’m not sure what you mean about the “PRACTICE” ball. I’ve gotten many regular/official balls that have “PRACTICE” stamped underneath the MLB logo. Is that what you’re talking about? If not, I’d love to see a pic of this mystery ball. I haven’t had that much contact with most of the guys on the ’06 Dodgers, but I can tell you that Odalis Perez has completely ignored me a dozen times despite my polite requests IN SPANISH. Jae Seo, on the other hand, is super nice…but that might be because I always ask him for balls in Korean. He just seems like a jolly guy in general, though. Tomko’s pretty nice as well. I doubt Furcal will sign, but he’s pretty good about tossing balls into the crowd. I know nothing about Nomar, but I wouldn’t judge him by the photographs you’ve seen. All I can tell you about the coaches is that Eddie Murray has never been too fan-friendly. In fact, I don’t think I’ve EVER seen him smile. Never mind about the “PRACTICE” baseballs, as I was just looking through the photo album, I saw that you’ve already caught it. And one more question…Why won’t Rafael Furcal sign autographs? Well, if Odalis is ONLY nice to the fans at home, then he’s really not all that nice. I don’t know that much about Furcal…I’m not saying he makes a point of NOT signing, but I’ve never seen him do in all my years of going to Shea. Then again, we were never his home crowd. Despite all those pics of Nomar, I’m not convinced. I’ve heard that Mia Hamm is terrible to autograph collectors. Would a nice guy marry a mean lady? ****, you were THERE?! I couldn’t believe it. It was like 2am here in NYC, and the game was in the 7th inning. Anyway, congrats on the four balls. Was there BP or was it rained out? You have a few more days to break the tie. I probably won’t be back at Shea until Friday the 14th…maybe not even until the Monday the 17th. Hey Zack, this is still Doppy, I just updated my email address on mlb.com so will now being seeing my new email address instead of doppy… hope it doesn’t throw you off too much! question though… you said you now have two bats? where do you keep them? maybe put them in a case? I look forward to your next update even though you’ll probably take the lead. I think I can handle the change, but thanks for letting me know. The first bat I got is at my parents’ place, just leaning up against the wall in one of my old closets. The Floyd bat is just leaning up against a bookshelf in my current place. Nothing too fancy. I never even thought about putting them in cases. Hmm. I am going to the Mets game tomorrow. Even though it is a day game, is there any chance of there being batting practice (since the game was rained out today…). Also, do you have any tips for getting down to the field level? Because of the off-day, there’s definitely a chance that there’ll be BP. Hard to say, though. I haven’t been to a day game in such a long time that I really have no idea. If there had been a game tonight, you’d probably be out of luck. I’m curious to know what happens, so give me an update if you can. It’s possible that the Mets will skip BP but the Marlins will take it. Who knows. If you show up during BP, the field level is open. If you show up early and there isn’t BP, the level might be closed. If that happens, try all the gates, especially the one way out behind the left field foul pole. That one is usually the least guarded. You can only get there if you enter Gate A or if you walk to the end of the Loge concourse and then go down the ramp. Of course, if you’re willing to wait for two-thirds of the game to end, you can ask people for their ticket stubs on their way out and then use those to get in. Shea is such a pain. That IS pretty great…although Comerica Park isn’t. Sorry. But you probably knew that already. Still, even an ugly MLB stadium is worth checking out. Hope it stays dry for you. I was out at Ameriquest today. Dude, Saturday games just aren’t good. Every shagging area was clogged with people. I got 3 with the pickup trick. I tell you what, that’s a great way to never get shut out. 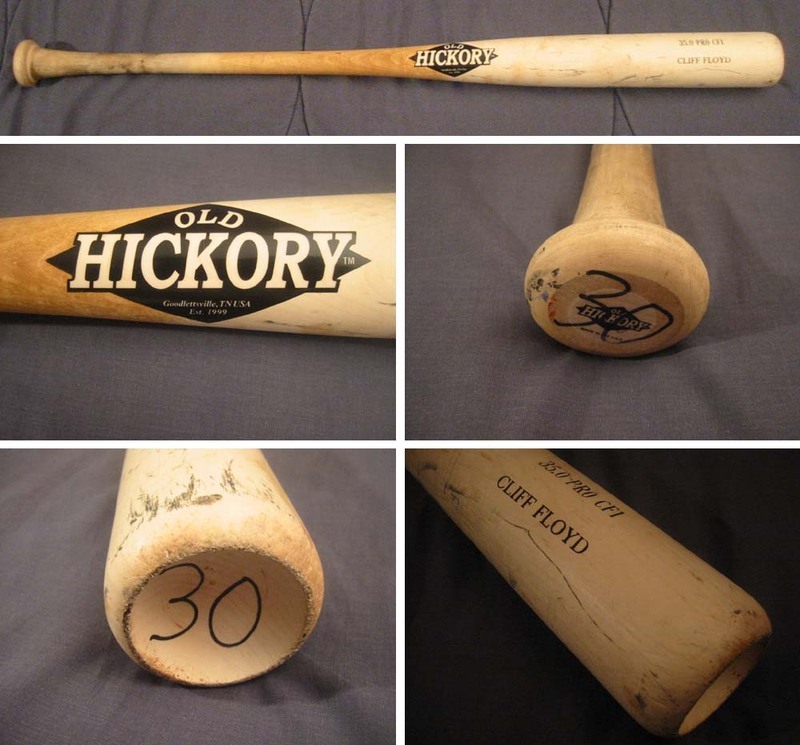 Interesting items of note, who do Tigers players think they are? I have never gotten dissed for a ball when the relievers go out and play catch. I always ask for the ball when they’re done. These 2 nobodies for Detroit ignored me! WHOA!!! You got minor league balls at a major league game?!?! I have NEVER heard of that, and I am truly shocked. My god. Clearly you have to count those. I mean, they were being used by major leaguers IN a major league stadium. But still. That’s annoying. Right? Or did you just think it was cool? The Tigers are not our friends. Congrats on getting three balls despite their meanness. Thank you! Wow. I’m hearing from everyone. I love it. That’s a serious Opening Day performance. Nice job. Congrats on taking the season lead…and on a side note, I’m honored to be hearing from you FROM the game. Baseball is officially officially here. Wow, fantastic first game. Way to go Zack. This has to be some sort of record for you with comments. Great to see people responding to your great work. 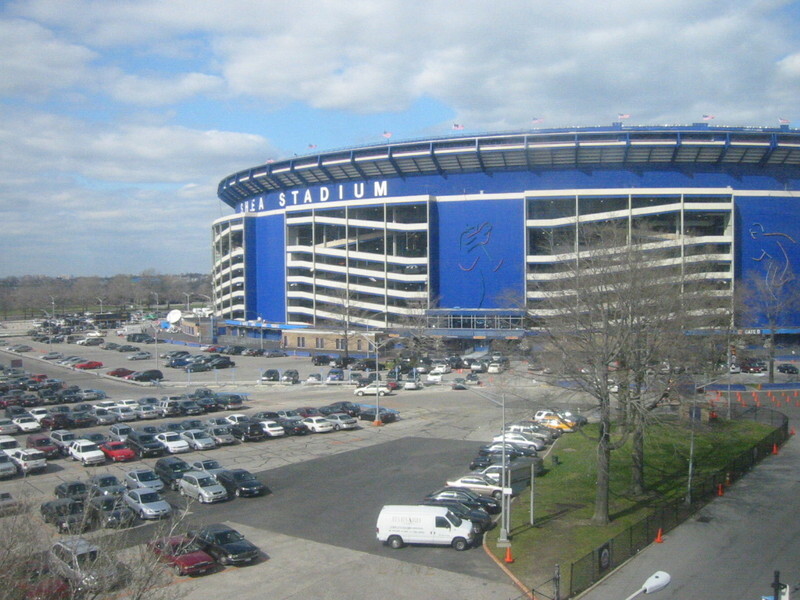 I have but only one beef, STOP trashing Shea Stadium. You still do very well despite all the issues. LETS GO METS!!! You emailed me DURING batting practice? What the heII were you thinking? That might’ve cost you a ball or two…but wow, you’re now leading 15 balls to 10. I have some work to do. Yeah, lots of comments. I love how this is kinda turning into a message board for ball-snaggers. When will I see you at Shea? I have some ticket stubs for you. Thank you. This IS a record for most comments. There were over 20 for my 4,000-word entry about my trip to RFK last July, but that entry was only up for a day before I posted a new one. Last season, I made a point of writing a new entry every day. This year, as you can already see, I won’t be blogging quite as often…so I suppose one result will be that each entry gets more comments. Ahh, okay. 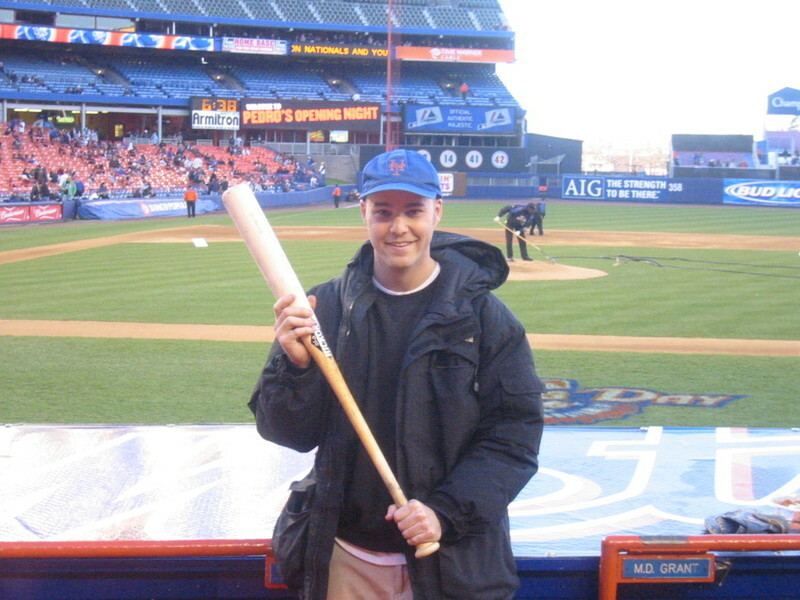 You’re talking about http://www.zackhample.com? I did once have a message board there, and it was a real pain. Anyway, I now update this blog much more often, so this seems like the natural place for snaggers to gather. I appreciate your offer to be a moderator, but let’s hold off for now and see what happens here. Cool? Yeah, i like it here… although a message board is a good idea. Maybe if this gets too busy to keep up with you could do the message board thing. Congrats on gettin off to a good start man… I thought I did ok with my three balls on opening day but you are putting us all to shame! You have been to 3 games so far right? I don’t feel like I have to keep with anything. I just happen to be home today (watching baseball on TV, of course), so it’s easy for me to check in every 47 seconds and write back to everyone. But if I were out all day, I’d just answer all the comments at once, before bed. And if I were gone for a whole weekend…well, so be it. Right? Also, this one usher was following me around the field level, and was kicking me out of my seat 3 times. Then, I moved to the 3rd base side, and I didn’t get bothered again. when is your next game Zack? I’m not sure. I have early-afternoon plans on Friday, and then I have to be at work at 8pm, so I’m thinking about heading to Shea JUST for batting practice. But if I don’t make it that day, my next game will probably be on Monday the 17th against the Braves. There’s no way I’m going to Yankee Stadium next week. In that case, I forgive you. But yes, gimme the details when you get a chance. Well I guess it is good that you wont be going to any games this week so I dont miss any updates because I am going to be in Costa Rica (11th – 19th)… I dont know how I will survive away from baseball for a week… hmm maybe the tropical atmosphere of Costa Rica can cheer me up? Nice! I was just in Costa Rica a few months ago. Where will you be? Family trip? I stayed at a place called La Paloma Lodge on the Pacific Side…and there WAS a computer with Internet access that guests could use, so perhaps you won’t be totally out of the loop. But that’s rough…being out of the country for a whole week so early in the season. Whatever makes you happy. I’ve been called things that’re far worse. Jeez. That’s quite a day. I’ve never found a ball AFTER a game—and I’ve been to over 600 games—so that’s pretty amazing. I’m not really clear on how you got that 2nd ball from Schmidt. You said he gave it to you at the dugout in the fifth inning…but Marcus Giles grounded out to Pedro Feliz to end the frame…and Lance Niekro caught the throw…so…what happened? Niekro handed it off to Schmidt on the way to the dugout? Very odd. But hey, more power to you for finding new ways to get baseballs. Did you get any All-Star or “Training” balls, or were all eight regular? Now I *really* have some catching up to do. Okay, that makes sense. Very cool. Thanks for the clarification. Albert, you are one lucky dude. I still cant find a flight to Detroit!!!!!!! lol This is insane. Reaching the 60’s? Ooohweee. Well, I didn’t get 8 balls today. I went at normal time to a day game with my parents ‘in-law’ and my wife. I got in at 12:15 for a 1 PM game. It was also a bobblehead day. But amazingly, they were doing BP after a night game. So, on a whim I had brought my device. Lo and behold, although I was only 40 minutes early, a ball was waiting behind the right field wall. As I lowered down my pickup device, the comments rained down, “wow, you have a lot of time on your hands”. And, “wow, how does that work?”. Anyways, i got 1 ball when I expected zero. Another thing? It was another minor league (Pacific Coast-AAA) ball. Hmmm. Well, my next date is in 2 weeks, and then I’ll clean house when my Twins come to Ameriquest. yeah dude, they’re driving me nuts. No runs, seems like old times. They got 13 in their only win, and like 2 or 3 in their losses. I’d die for a 6 or 7 run game from our boys. A high school spring break trip is MUCH better than a family vacation. I hope you get into lots of (good) trouble. Don’t give up—you can do it. I haven’t been this popular since I had a full-sized arcade video game in my college dorm room. That’s a very lucky ball you got…but ****, another one from the minors? That’s distressing. If you throw me a ball, your losing streak will end. If you want, I can bite my nails on your behalf. What’s the issue? All the flights are booked? Or they’re just too expensive? You made it! But were you able to get any balls in that sellout crowd? Dare I ask how you got them? Albert can you get Internet access right from your seat? Two balls from the same guy and you don’t know who? Put that Internet access to good use and look at all the coaches’ pics on the team’s web site. There are currently eight copies available on abebooks.com. Just do a search for the title (How to Snag Major League Baseballs), and they’ll come up. Then read the dealers’ descriptions and go for the one that looks best. Thanks, but do you think the book will still be beneficial to me or have I learned all that there is to learn? I’m sure it will still be a good read, you are a great writer. You’ve probably learned just about everything here, but I’m sure there are lots of stories in the book that you haven’t heard. Well…actually, I can think of some strategies in the book that I’ve never mentioned in the blog. Thanks for the kind words, but remember, I wrote the book in 1997, when I was 19—and a much less experienced writer. It’s still a fun read though. Hey, welcome to the action. It’s good to hear from you. I guess we’ll be seeing each other in a week…and Teddy-Boy should be there. He says he’ll be going to most of the games this year. He and I were able to peacefully coexist on Thursday; I started off in right field, and he went to left. Just wanted to help you hit the century mark here. Can’t say it’s an actual goal of mine to get there, but it did occur to me a few hours ago that it could happen. Are you related to Lewis J. Stadlen? Our official ball is produced by Rawlings and is basically identical to the MLB baseball. 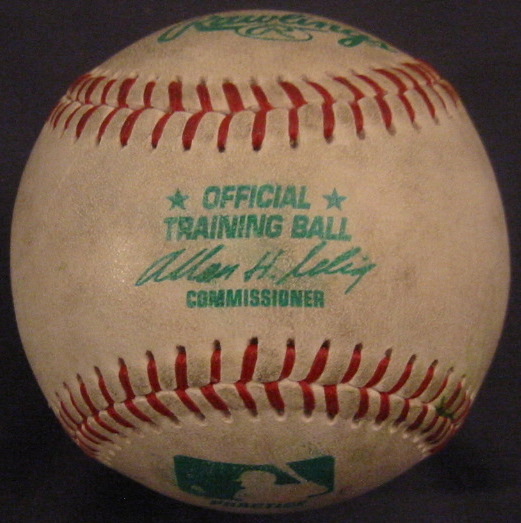 I suspect that when the Rangers placed an order for baseballs this year that Rawlings explained they could fill the order using some PCL baseballs if the Rangers were okay using those for batting practice. There are other ways for PCL baseballs to get there; I am guessing at the most likely. Nothing earth shaking, but it was cool he wrote me back. In any case, thanks for researching the AAA-ball mystery and sharing your findings. That’s a funny idea about asking for a refund. When you get the book…if you want…I’ll give you my address, and if you send it to me with a self-addressed stamped envelope, I’ll sign it and drop it back in the mail to you. Have a great time in Rica. Spend an extra hour in the sun for me. Lewis J. Stadlen did not play third base. He played Julie (Groucho) Marx in the musical of some years back called MINNIE’S BOYS, the story of the 5 Marx Brothers (Groucho, Harpo, Chico, Gummo & Zeppo) and how their mother, Minnie, helped forge their careers and shape their act when they began in vaudeville prior to Broadway. Stadlen played 5 (yes, 5!!!!!) parts in the Leonard Bernstein/Harold Prince musical CANDIDE. He has also appeared in other plays and some films. Until a year or so ago, he played Max Bialystock in the road company of THE PRODUCERS. But the reason I asked if M. Stadlen is related to him is because he was once part owner of a minor league ball team somewhere out west (and may still be involved), though I’m not sure of the details. Perhaps if, in fact, M. Stadlen is related to Lewis, he’ll be able to fill you in. Does this give you sufficient context? You’re everywhere! And you’re putting my season total of 10 balls to shame. Have you considered starting your own ball-snagging blog? I don’t know about that. MLBlogs gets a whole lot of traffic. The Baseball Collector MLBlog has reached unprecedented popularity…cheers to all involved. Bummer. I guess I can’t really argue with you on that one. Albert, you posted $100? That’s awfully nice of you but I can’t seem to find it…I could really use it though so let me know where it is. …and The Grocery Man is already in mid-season form, folks. i actually am related to louis, not very close, but we share ancestors. pretty cool yea. Is your relative Lewis still part owner of a minor league ball team? I’m curious about that, too. Let me know! I just saw your new ball-snagging blog. Very cool.